Everyone is getting aware of the current hype in the salt industry that is related to the pink Himalayan salt. Unless you are living under a rock, you must have heard a little, if not a lot about this miraculous salt. The Pink Himalayan salt comes from the Himalayan salt mines located in the Punjab region of Pakistan. 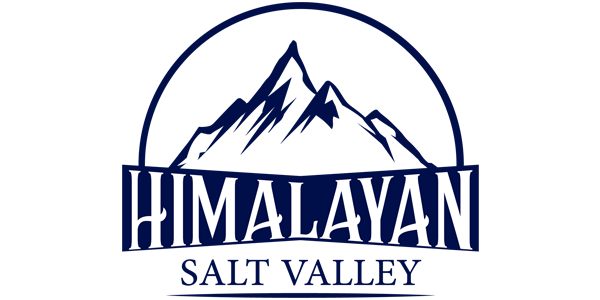 These mines are situated at the foothills of the Himalayan mountain ranges and hence the name. It is said that these salt mines are a result of evaporation of a massive sea dating back to the Precambrian era. Due to the disturbances in the tectonic plates, a lot of geographical changes took place which resulted in volcanic eruptions and the great sea evaporations. The water evaporated and the sea animals died; leaving behind huge salt deposits protected under the blanket of lava. This is why the Pink Himalayan salt is believed to be the purest form of salt on this planet. Simply speaking, every salt has the same chemical composition of sodium (Na) and chloride (Cl). Unfortunately, things are not as simple as they seem. Salts are not just a combination of sodium and chloride. There are a number of other elements present in different types of salts; which depends upon the type of salt, the place they come from and the way they are extracted. So, the question arises which salt is the healthiest. Well, the two majorly ruling types of salts are table salt and the pink Himalayan salt. Table salt has been an important part of the common man over the past many years. 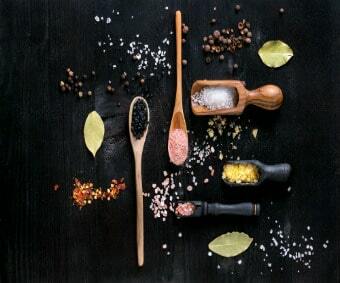 It is only because of the recent studies that have brought out the health hazards of table salt which has caused many people to restrict their daily life salt consumption. Himalayan salt, on the other hand, is many, many years old. It is hand extracted from the Khewra mines in the Himalayan ranges. Recent studies have shown Himalayan Pink salt to be one of the purest salts on earth with a number of health benefits associated with it. Let’s find out some facts about the difference between Himalayan rock salt and table salt. What is Himalayan salt composed of? 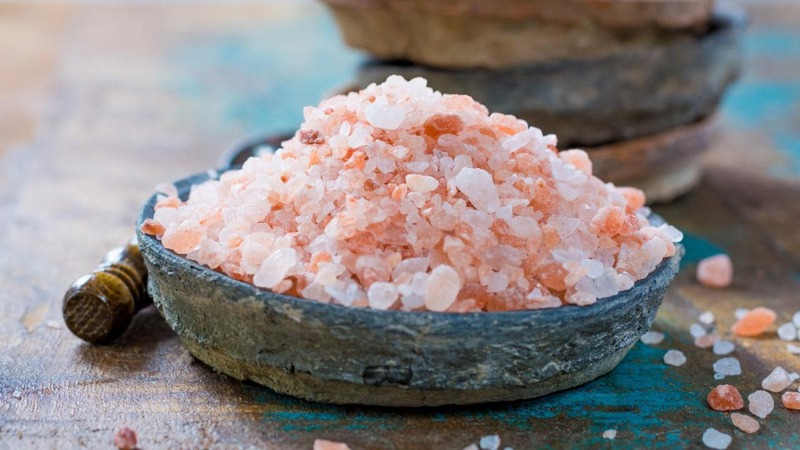 After going through the chunk of knowledge regarding the whereabouts of the Himalayan salt you must be wondering why is it called the miraculous salt and what is it exactly composed of or is Himalayan salt good for you? Worry no more, we have you covered there. The magical pink salt is said to be just like any other ordinary consumable salt plus as much as 84 minerals and trace minerals. These additional minerals give this salt the beautiful shades of pinks and hues of orange. Let’s make one thing clear here. The Himalayan salt doesn’t contain only minerals. It contains Hydrogen and Oxygen which are actually elements. It also contains macro-minerals like calcium and chloride and trace minerals like iron and zinc. The good thing is that the pink salt contains everything that is already present in our body and is essential for proper functioning of the organs of our body. How much potassium is in Himalayan salt? Potassium is one of the vital minerals for human health. We all know how high amount of sodium can be detrimental to health. Potassium plays a key role in balancing off the sodium amount in the body. Instead of lowering down your sodium intake, try increasing your potassium intake to balance it off. The beauty of the Himalayan salt is that it contains a comparatively low amount of sodium and high amount of potassium. Oh, and did you know potassium helps you in balancing the overall ph level of your body and lowers down heart health risks. The most essential capacity of iodine is to control the generation of hormones in the thyroid organ. Iodine inadequacy and the increase is an intense issue. Himalayan Pink Salt contains natural iodine which the body can utilize effectively in the creation and transport of hormones. The human body is equipped for holding up to 1,500 mg of iodine at some random time-the thyroid itself can hold up to 50mg. up to 20% of the iodine in your body is contained in your skin while 32% is put away in your muscles. As indicated by the USDA, grown-up people have a prescribed day by day stipend for iodine around 150 mcg. In the human body, the minerals iodine and selenium are firmly connected. Fortunately, Himalayan Pink Salt contains both of this minerals-an iodine centralization of 0.1g/kg and a selenium grouping of 0.05 ppm. There are many ways in which this beneficial crystal salt can be used. Salt sole: Concentrated solution of pink salt mixed in a glass of water. This is a magical potion for great health. Salt inhalers: Himalayan salt inhalers and diffusers are being used commonly for treating respiratory ailments. It also promises stress alleviation. Salt lamps: Great pieces to up your decoration game. These salt lamps help in cleansing the environment of pollutants and impurities. Salt bath: It helps in relaxing tired and sore muscles. Also relieves the stress and cleanses the body. For face: Himalayan salt benefits for face make it a useful ingredient in many skincare products. It exfoliates the skin and provide it with essential minerals and make it clear. With so many benefits and uses, Himalayan salt is surely the best investment for your life.